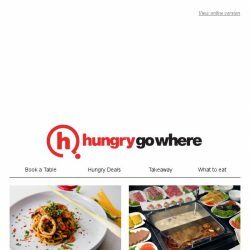 [HungryGoWhere] Our popular 1-for-1 dining deal is back with treats on 9 Course Omakase, Buffet Lunch, various Mains selections, and more! 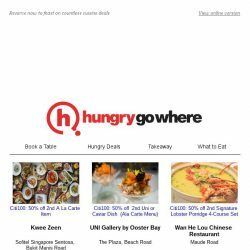 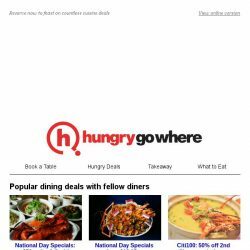 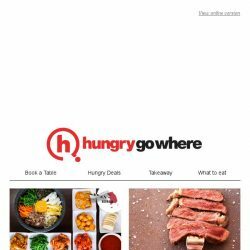 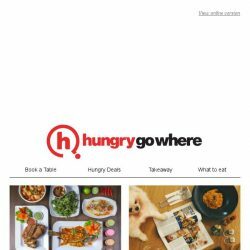 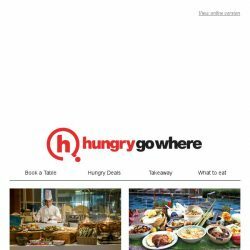 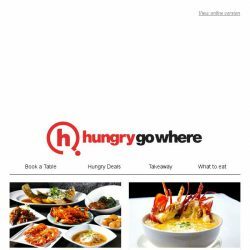 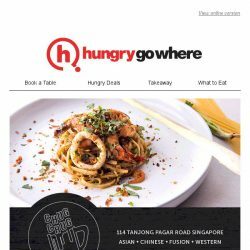 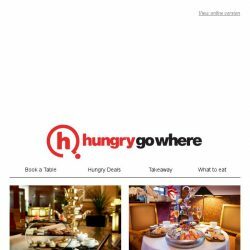 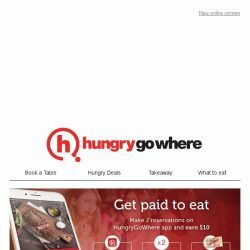 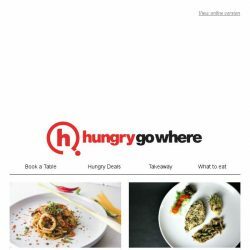 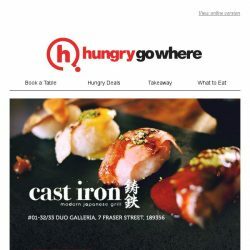 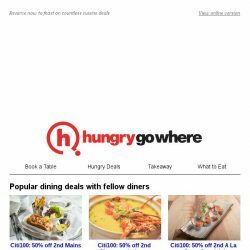 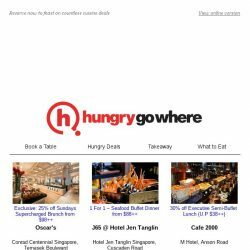 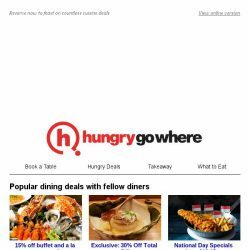 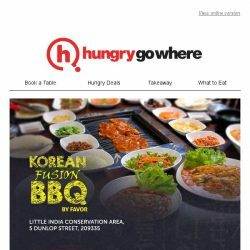 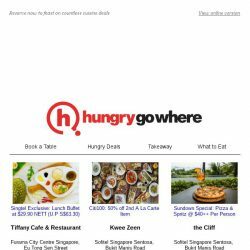 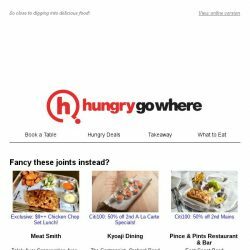 [HungryGoWhere] 4th diner dines free on ala-carte buffet dinner, all-you-can-eat lunch set from $28.90 – more Asian Specials await! 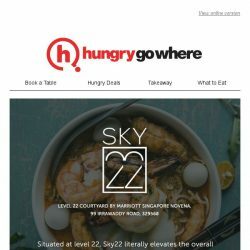 [HungryGoWhere] Relax and unwind with these afternoon tea specials, including 1-for-1 New Afternoon High Tea @ S$38++, Weekend Penang High Tea Buffet @ $21.50++ and more! 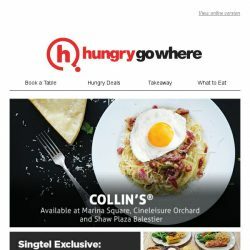 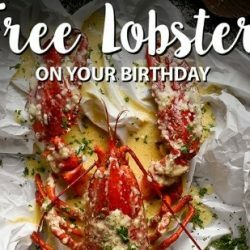 [HungryGoWhere] Wallet-friendly dining deals near the MRT stations: 50% Off Black Angus Prime Ribeye Steak, 1-for-1 Lunch/Dinner Buffet, and more! 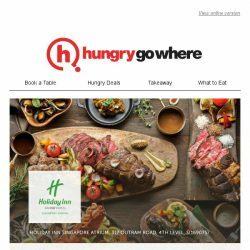 [HungryGoWhere] Enjoy your mid-week break with 1-for-1 dining treats like 1-for-1 buffet with a free beverage, 1-for-1 wagyu rump (worth $38), and more! 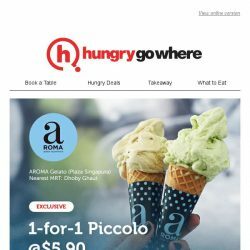 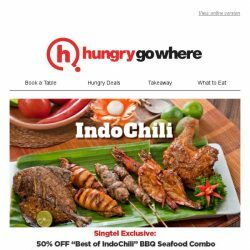 [HungryGoWhere] Book early this Hari Raya Haji with Halal deals like 15% off buffet and a la carte menu, crab feast lunch buffet at $66++, and more. 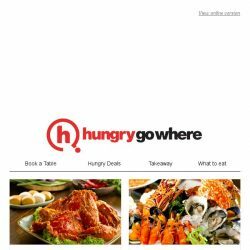 [HungryGoWhere] Snap Up Red Hot Deals Like 1-for-1 Lunch Buffet from $40++, $9++ Chicken Chop Set Lunch, and More!